Stuck. That’s how 33-year-old aspiring singer Celeste Duncan feels, with her deadbeat boyfriend and static career. But then Celeste receives a puzzling phone call and a box full of mysterious family heirlooms, which just might be the first real clue to the identity of the father she never knew. Impulsively, Celeste flies to Japan to search for a long-lost relative who could be able to explain. She stumbles head first into a weird, wonderful world where nothing is quite as it seems—a land with an inexplicable fascination with foreigners, karaoke boxes, and unbearably perky TV stars. I started reading, Love in Translation, right after I had finished, Hotel on the Corner of Bitter and Sweet, by Jamie Ford. It seemed like an appropriate segue since in the previous book I learned so much about Japanese families and their culture. The author, Wendy Tokunaga, sent me a copy to read. Not really knowing what to expect – I did do my research though on the book – I found I truly enjoyed the storyline, the characters, particularly Celeste’s journey, the mystery surrounding the search for her Aunt’s sister, and the possibility of finding the identity of her father. How scary it would be to take off for unfamiliar parts in pursuit of one’s heritage but I thought Celeste grabbed the bull by the horns. She was eager to fit in and persevere what obstacles came her way. There were some funny incidents for Celeste in addition to moments which brought me to tears. I would recommend this heartwarming story to readers who enjoy books that deal with relationships, cultures, and ultimately – finding yourself. 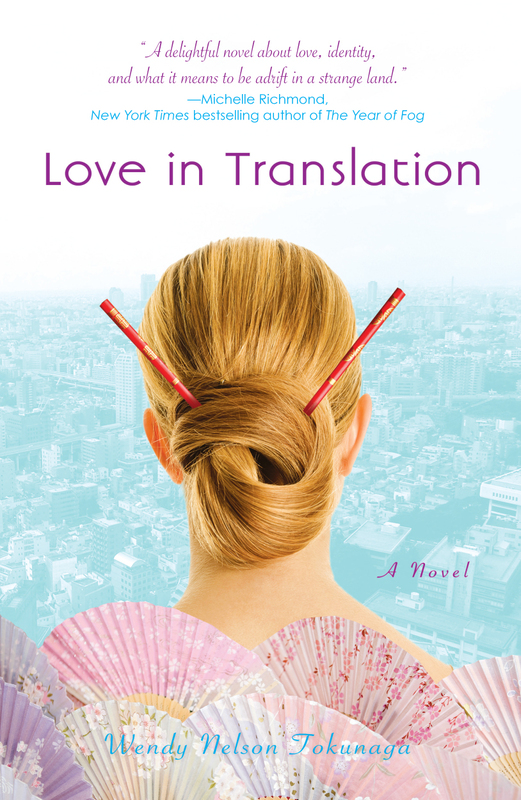 Love in Translation should be a novel book clubs on the whole would embrace because of the discussions it would bring about. Thank you to Wendy Tokunaga for sharing her wonderful story with me! I’ll be anxiously awaiting her next creation! Clementine, by Sara Pennypacker, has been a favorite of the students in grades 3-5 at my school. I used it as a read-aloud last year with all of my 3rd grade classes. I enjoyed reading it as much as they enjoyed listening to Clementine’s antics. Clementine is in 3rd grade and has established an “interesting” relationship with her principal. Let’s say a revolving door relationship! No matter what Clementine does it inevitably lands her in hot water. The kids and I found ourselves laughing out loud at her shenanigans. I think you will too! Pennypacker has also written two more books about Clementine and her adventures: The Talented Clementine and Clementine’s Letter. Stink: The Incredible Shrinking Boy, by Megan McDonald, is the first book in the Stink series by McDonald. Stink is first mentioned in the Judy Moody series. He is Judy’s younger brother. In his debut book, Stink is afraid he is shrinking because he used to be three feet, seven and three quarters tall each time Judy measures him. Now as Judy measures him, it appears he is shrinking! Since Judy is older, do you suppose it’s an older sibling mean trick?? He has many adventures throughout the book which kids can relate to. I loved the illustrations as well. This makes an excellent choice for a read-aloud for students in grades 2-4. The other titles in the series are: Stink and the Incredible Super-Galactic Jawbreaker, Stink and the World’s Worst Super-Stinky Sneakers, Judy Moody and Stink: The Holly Joliday and Stink and the Great Guinea Pig Express. The 2010 Abraham Lincoln Illinois High School Book Award Winner! Each year a committee of librarians, students, and educators in the state of Illinois select twenty titles for the Abraham Lincoln Nominee Books for high school students to read. In order to vote, students need to read or listen to at least four of the titles from the list. Voting takes place throughout the month of February at high schools in Illinois. To learn more about the Abraham Lincoln Award go to: http://www.islma.org/lincoln.htm. I’ve listed below the top five most voted on books along with this year’s winning book. If you have a teen you might be curious to see what they find most interesting to read. Being a librarian as well as a mother of three daughters, I shared my love of reading with them and they in turn shared what books caught their attention when they were teenagers. What a nice topic of conversation to share with your teens – reading. Look into what types of books are most important and significant in their lives. A New Week & New Books of Interest! I’ve come across several new books which will be released this spring. They’ve been featured in some of my reading materials and I’d like to share them with you today. I’ve included a link to Goodreads for further descriptions and reviews as well of each book. Once again these are not only adult books, but I’ve also included young adult book, a middle grade book as well as two children books. My intention is to hopefully have you add these titles to your ever growing reading list! Lee Childs new book, 61 Hours, will be released in May. Childs has an excellent piece of work with his new crime fiction novel. Iris Johansen’s, Eight Days to Live: An Eve Duncan Forensics Thriller, will be released in April. This is a crime fiction/thriller novel. I do tend to enjoy these! Teens as well as adults will find this of interest! David Gordon has an interesting thriller that caught my attention coming out this month entitled, The Serialist. Alan Bradley’s next installment of his Buckshaw Chronicles #2 – The Weed That Strings the Hangman’s Bag, is a book I’m anxiously awaiting to get my hands on! I thoroughly enjoyed the first book in the series, Sweetness at the Bottom of Pie. This series can be enjoyed by adults, young adults, and “tweens.” It will be released March 9. For middle-grade readers who enjoy a great mystery, James Leck’s book, The Adventures of Jack Lime, will be one they’ll want to check out! Tom Lichtenheld’s successful children’s book, Duck! Rabbit!, looks to have another winner with his next book, Bridget’s Beret. I’ll be adding this to my K-Grade 2 read-aloud list! One of my favorite children’s authors, Martin Waddell, has his new book coming out this March. The name of it is, Captain Small Pig. This would make an excellent book for preschool – grade 1. Waddell’s other books are all on my read-aloud lists! Enjoy!